Small business owners today must be aware of keeping their data secure. With many websites hacked daily, it’s important to take precautions to keep your business’s and your customer’s information safe. Data security for small business is one of the most pressing concerns of our times. No one is completely secure nowadays. However, you can greatly lessen the chances of having your information stolen if you keep the following data security guidelines in mind. It’s important to devise a clear-cut policy on all security related matters. Back up all of your data and keep your anti-virus and anti-malware software updated. Train all of your employees to be vigilant about security. If all of your employees have equal access to your data, you should rethink this approach. It’s safer to give people access based on their positions and experience. Set usernames and passwords based on employees’ access levels. This way, more sensitive information is only accessible by employees who need this data to perform their jobs. Stealing data from unsecured wireless networks is a favorite hacker trick. Never access sensitive information on a public WiFi network and warn your employees against this practice as well. Make sure your wireless network is protected by strong passwords, SSL and a solid firewall. Password protecting the router is an additional step that makes it harder for anyone to break into your network. Make sure everyone is clear about what they’re allowed to access as well as the consequences for violating these restrictions. You should also have a plan in place for dealing with security issues. One of the most common security breaches occurs when a hacker changes your password and gains access to your system. With two-factor authentication, the user must pass through an additional layer of security, such as entering a numeric code, in order to change a password. Make sure everyone in your organization takes this precaution with all of their accounts. Without data encryption, it’s relatively easy for a hacker to gain access to your data. An SSL certificate on your website is a strong measure that not only encrypts your data but lets your visitors and customers know that you’re serious about data security. While cloud solutions are often a convenient and economical small business solution, they aren’t all equally reliable and secure. Before choosing a provider or software application, do your research. Don’t just automatically sign up with the cheapest service. Check out the provider’s reputation, transparency, and inquire about how they keep clients’ data secure. 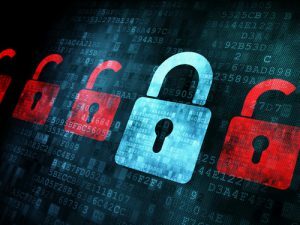 These tips greatly improve data security for small business. Keep in mind that cyber security is a field that’s constantly evolving. Just as security measures are always improving, so are the efforts of hackers. That’s why it’s essential to continually reassess and update your data security measures.